Definition: Feedback assessment is information about how the student is doing towards reaching a set goal and the next feasible steps. Feedback is usually provided by the teacher as part of both formative and often summative assessment. Feedback is a response to the student‘s work to support further learning towards a final goal. Description: Feedback assessment comprises clear descriptive commentary as to where students are in their learning and what next steps could be taken to improve their work. Feedback supports cognition as it can help learners realise which of the knowledge and skills they hold are strong and which are weak. Sometimes feedback clears misunderstandings and misconceptions. 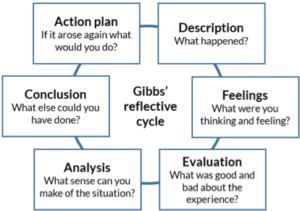 Feedback supports metacognition, that is, students´ awareness of their own thinking. Effective feedback shows students how to consider their work, using criteria from the assignment, and apply self-assessment skills. Benefits: Effective feedback can enhance students´ cognitive processing, increase their autonomy, foster resilience and provide strategies for next feasible steps. 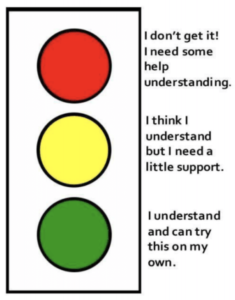 Feedback assessment supports students’ with self-regulation of learning, by helping them understand their learning goal and how close their current work is to it and what could be done next. Students become better at appraising their own work and learn the value of review and revision and reshaping of work for improvement. Where feedback is effecively applied: mistakes are viewed as opportunities for learning and students are encouraged to accept them and learn from them; students are not afraid to ask for help; and assessments build on strengths and practice to overcome weaknesses. Challenges: Where work is graded, some students will concentrate on that rather than seriously analysing descriptive feedback provided. The optimum time for feedback can be a challenge as the typical sequence of classroom activities and the time to turn in assignments are not supportive to written or discursive feedback. Students often look at grading as evaluation and judgement but the feedback must preferably be experienced as description and information. 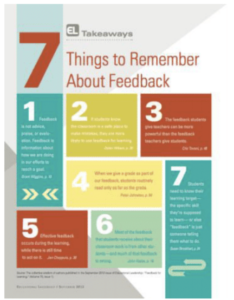 From a teaching perspective, feedback can be time consuming. Applied to entrepreneurial education: Feedback assessment can be a good way to facilitate development of generic or transversal skills e.g. creativity. The emphasis is on progress not the final product. In order for feedback assessment to be constructive and effective in EE (or other kinds of education), the following suggestions can help: Positivity, including affirmations and highlighting the good qualities in the student‘s work as well as pointing out what needs amendment; Clarity; Being specific enough to be helpful but not so specific that the work is completed for the student; Being descriptive and focusing on the work and the process the student used to do the work;and, Adopting a constructive, rather than a deminding, tone, where the student is able to respond, e.g. asking the student What could you add? Change? etc. relevant to the assessment criteria. Definition: The ‘e’ in e-assessment stands for ‘electronic’. 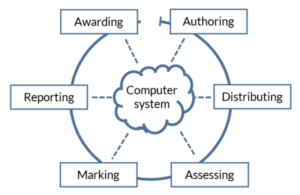 E-assessment is thus defined as when computers are used to support assessment for / of learning. 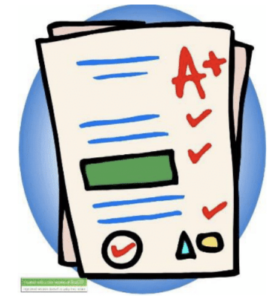 Description: E-assessment ranges from simple computer-based tests with multiple-choice questions to complex and multimedia rich simulations, games, case studies and e-portfolios. It thus encompasses a broad range of assessment methods used in computer-based learning environments, often termed ‘E-learning’. E-assessment can be used both for high-stakes and for low-stakes testing, as well as both for summative and formative assessment. Teachers can distribute questions and tasks as well as collect and analyse student responses. Some marking can be automated. Benefits: By using e-assessment tools, various administrative tasks can be passed on to computers, freeing up time for teachers to focus on formative assessment and feedback. E-assessment can also be used to let computers adapt questions and tasks to each student’s individual circumstances and replies. The more complex forms of e-assessment can be used to assess higher-order thinking and transferable skills. Challenges: Many of the less complex forms of e-assessment use simple right-or-wrong questions, and have therefore been criticised for relying on and promoting an outdated model of surface and rote learning, focusing solely on recall of simple facts. While more complex forms of e-assessment avoid such criticism, the resulting problem is instead the high cost and difficulty in designing and validating questions and tasks. Applied to entrepreneurial education: Assuming that challenges around surface learning are taken into account, the less complex forms of e-assessment can be used in entrepreneurial education to increase the focus on formative assessment. Short quizzes can be administered while a course is still on-going, allowing for adjustments and feedback. The more complex forms of e-assessment often require solutions tailored to the specific entrepreneurial contents and processes for a course or a program. There are a number of entrepreneurship specific simulations and games available. Examples include SimVenture, MarkStrat and SimBrand. Another potential use of e-assessment in entrepreneurial education is to use applications not specifically designed for assessment, such as online word processors, online forums and social media. An interesting avenue for the future is to use computers to facilitate the experiential and action-based nature of many kinds of entrepreneurial education, see for example the e-assessment tool LoopMe. Such approaches have become more affordable as many students today have access to a smartphone where apps can be easily deployed for assessment purposes. Definition: Let students perform meaningful and hands-on real-life tasks and assess them based on their task accomplishment1. Description: Performance assessment is about assessing students based on their active hands-on demonstration of knowledge and skills. This should preferrably take place in authentic settings. The approach is different from traditional assessment where students talk or write about what they have learned2, see table. 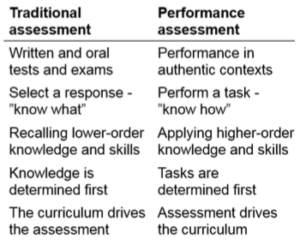 Performance assessment is common in arts education (dance, music, arts, crafts, etc) and in vocational education (construction, plumbing, hairdressing, vehicle repairs, etc). Performance assessment should be designed so that the relevant real-life performance is emulated as realistically as possible3. 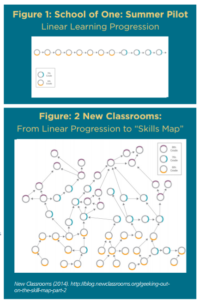 Tasks could be designed in accordance with constructive alignment principles; what do the students need to do in order to reach desired learning outcomes? Benefits: Performance assessment has been described as a way to assess and foster more complex and higher-order learning. It requires students to be active, and to apply critical thinking and problem-solving skills. This leads to more motivated and engaged students and improved learning. It is also a more inclusive assessment approach for students struggling with written exams. Challenges: Performance assessment has shown to be difficult to design and time-consuming to deploy. It is also often difficult to discriminate between poor, average and excellent performance. Teachers have also found performance assessment to be subjective, especially compared to the objectivity of determining whether a reply is simply right or wrong. 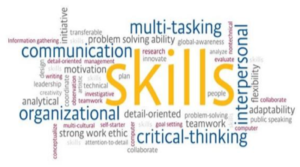 Applied to entrepreneurial teaching: Entrepreneurial teaching allows for a large number of learning activities that can be formulated as hands-on tasks that students could learn from doing. Examples include developing an idea for a new business through a workshop format, presenting a business idea to an external audience, asking external stakeholders for commitment to take part in developing the idea and making a budget for required resources needed to realize the idea. If the entrepreneurial teaching leans on a broad definition of entrepreneurship viewed as not only starting a business, other tasks could be relied upon. Students could be asked to develop answers to the question “For whom could this knowledge be valuable?”, contact external stakeholders to verify a hypothesis about how valuable something might be, or simply educate the general public on an issue of importance to society. Generic kinds of performance tasks include interacting with external stakeholders, helping others, presenting something to others and working in teams to create something of value to an external stakeholder based on curriculum content.